Its name alerts you for the total speed experience that you are going to have when the ride starts. There will only be just a few moments that you will be on the water. The challenge is that only a few people have made it to stay on the Fly Fish for a long time in the right position..The contact with the water happens in the most spectacular way. 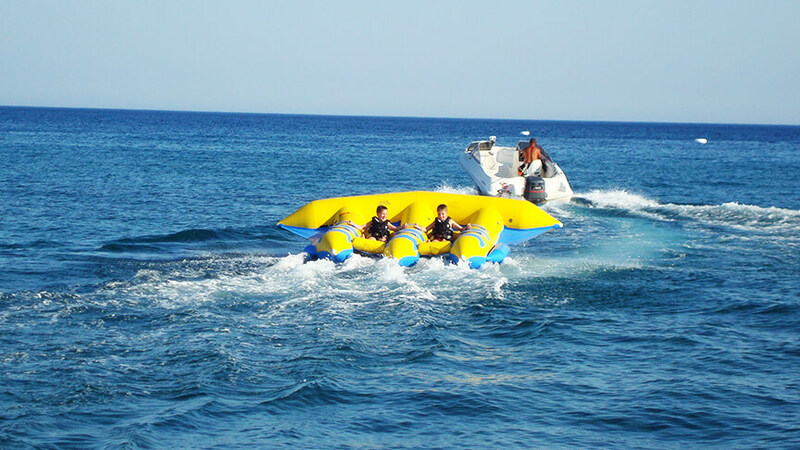 Rodos Water Sports Action was the first water sports center in Rhodes used the Flyfish! 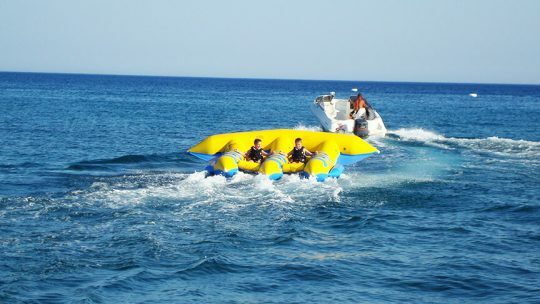 The weather conditions and our boat with a brand new Mercury engine are ideal for trying Flyfish in Rhodes island. What is the minimum age to go on Flyfish? 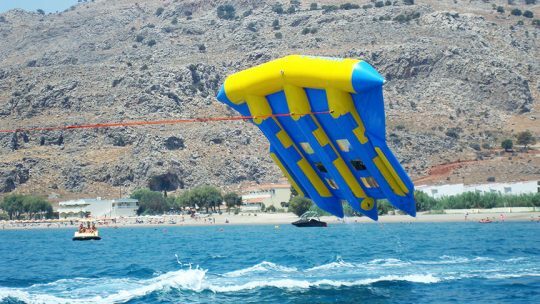 Do we need any experience to go on Flyfish? No, no experience needed at all. Just ride it, follow the safety instructions and enjoy your ride! 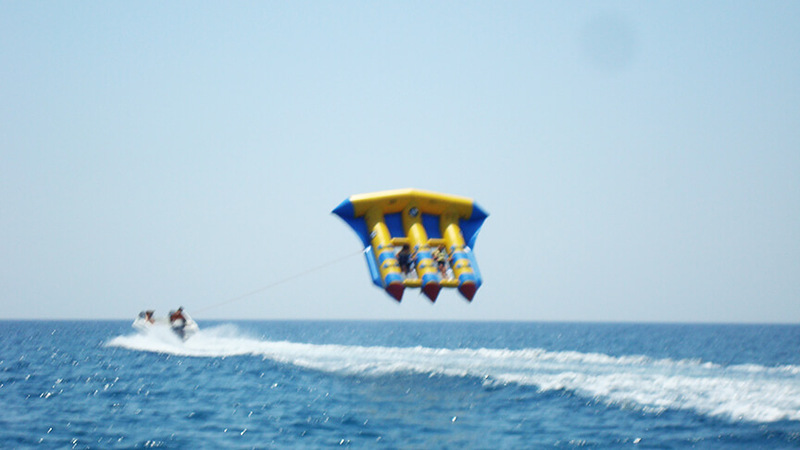 Is there a weight limit for Flyfish? 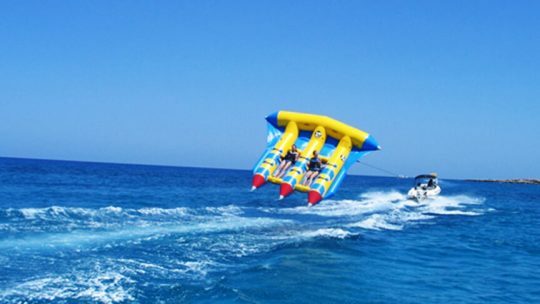 Yes, there is a weight limit to go on Flyfish. That restrictions changes depending on the wind's intensity and direction. For more information contact the staff or the boat driver. Is Flyfish safe? Can my children ride it? 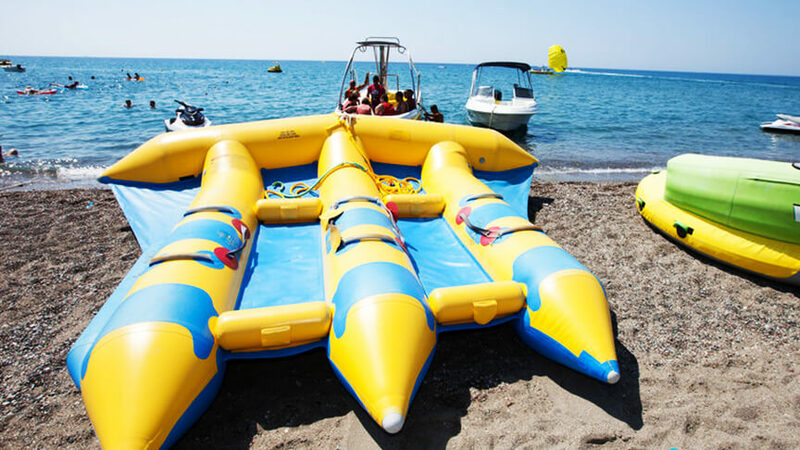 Flyfish is safe for everyone but the riders must follow the safety instructions. If the riders don't follow these instructions, then the driver will immediately stop the ride to keep the activity safe. 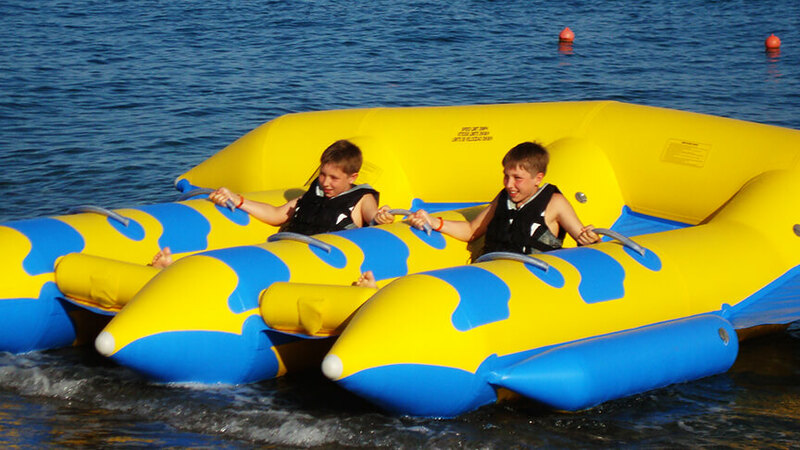 Children can go on Flyfish under parents supervision. How high can Flyfish go? 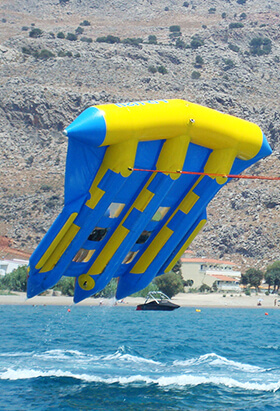 Flyfish can go up to 4-5 meters over the surface. Height depends on the wind and the weight of the riders. Each round with the Flyfish last approximately 10 minutes. Depending on the wind's direction, we drive 2 times against the wind (flying) and we return back to the Water Sports Center. For Flyfish we need a quite strong wind. At Lardos Beach the weather is usually ideal for flyfish after 14:00, when the wind get's stronger.